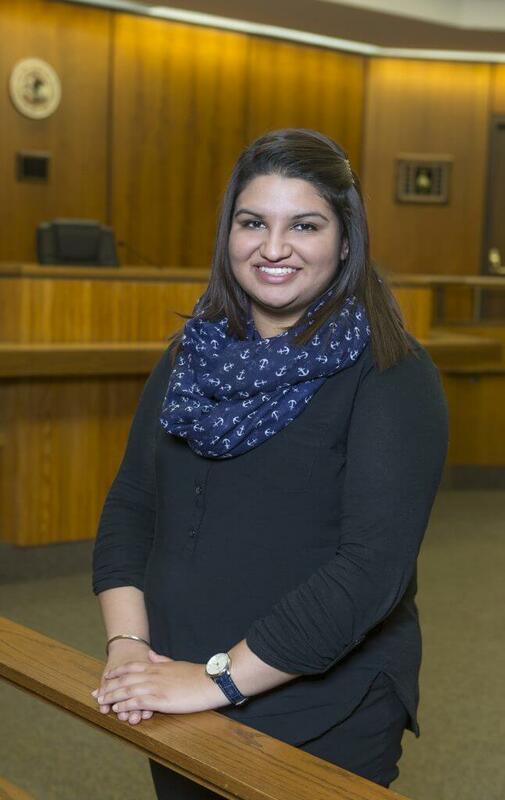 In 1998, when Kiranjit Gill was just 4 years old, her parents left their homeland of Punjab, India, and traveled to the United States, settling in Palatine, Illinois. They wanted their daughter, their only child, to grow up in “the land of opportunity,” a place where her talents would take her far. It’s safe to say Gill—a 21-year-old who already has studied abroad, published research and worked in the halls of Congress for a prominent Illinois representative—is well on her way to fulfilling her parents’ dreams, as well as her own. For her many achievements, the political science major has been designated as the 2015-16 NIU Student Lincoln Laureate, an honor reserved for the university’s top senior. Being named as NIU’s Student Lincoln Laureate is no small achievement in itself, even for a University Honors student with a nearly perfect grade point average such as Gill. Annually, an outstanding senior from each of the four-year institutions of higher learning in Illinois is chosen to receive the prestigious Lincoln Academy Student Laureate Award. It recognizes excellence in both curricular and extracurricular activities. The awards will be presented Saturday, Nov. 7, during the annual Student Laureate Convocation at the historic Old State Capitol in Springfield. Gill, who also is earning a minor in business innovation and entrepreneurship, says her motivation stems from the hard-work ethic of her mother, Ravinder, and her father, Balwinder. Gill came to NIU on an academic scholarship after a standout career at Palatine High School. NIU was affordable, she says, and offered more opportunities than other universities. 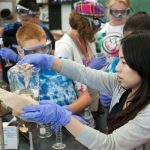 Freshman year, she joined the Research Rookies program, which links undergraduates with faculty mentors to conduct research projects. Working with Ward as her mentor, she collected data at the Library of Congress on the career trajectories of U.S. Supreme Court clerks, published and presented findings on the topic and continues with the research today. 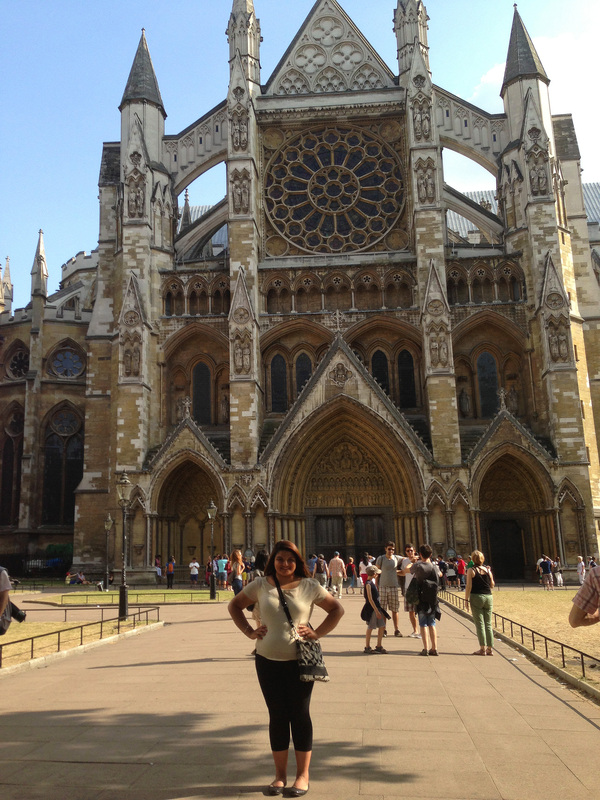 Kiranjit Gill at Westminster Abbey in London during her freshman year study abroad experience. Also during her freshman year, Gill studied abroad with NIU students and faculty at Oxford University. She jokes that being at Oxford gave her a new understanding for her parents’ idiosyncratic expressions, since they came from a region of India with a British influence. More importantly, the experience abroad helped her to mature personally and academically. “She recited from memory Falstaff’s speech on ‘honor’ to her classmates with such gusto and precision that I might have thought her a theater major,” Crowley says. 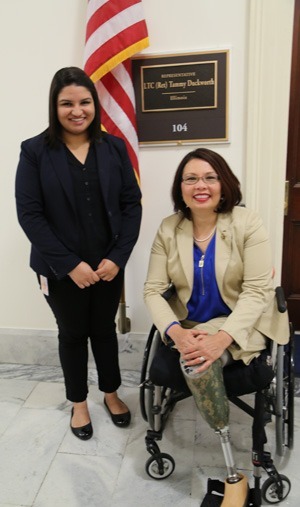 Kiranjit Gill with Congresswoman Tammy Duckworth. But political science and law remain the top passions of Gill, who is investigating law schools to attend after graduation in May. Professor Ward expects her to have her pick of some of the nation’s best institutions. Certainly, two internships with U.S. Congresswoman Tammy Duckworth will bolster Gill’s credentials. “Tammy Duckworth is just an amazing person to work with because of what she stands for,” Gill says. 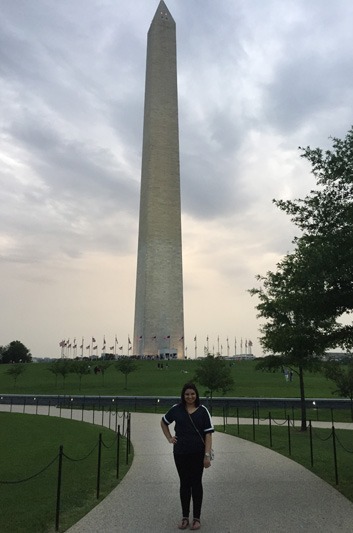 She worked with the congresswoman’s district office in 2014 and the D.C. office this past summer, after being selected for NIU’s highly competitive Washington D.C. Congressional Internship program. In D.C., Gill’s duties ranged from attending congressional briefings and taking staff-meeting notes to conducting research on bills and acting as a liaison with constituents. Despite her busy schedule and travels, Gill also has been highly dedicated to her fellow Huskies. A partial list of her extra-curricular activities during her career at NIU includes being a University 101 peer instructor, a Northern Lights Ambassador, a Research Rookies peer leader, a Student Success Team member, president of the Pre-Law Honors Society, chair of the Political Science Student Advisory Committee, director of governmental affairs for the NIU Student Association and a member of the College of Liberal Arts and Sciences Student Advisory Council. If the university is proud of Gill, the feeling is mutual. Perhaps more than anything else, Gill says, the university allowed her to find her confidence. 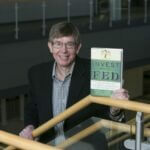 Previous story A financial four-bagger?